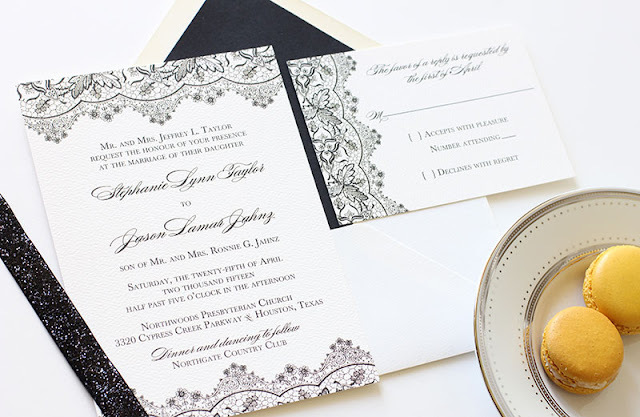 When looking for an elegant wedding invitation that is romantic and black tie appropriate, this suite is definitely a perfect match. 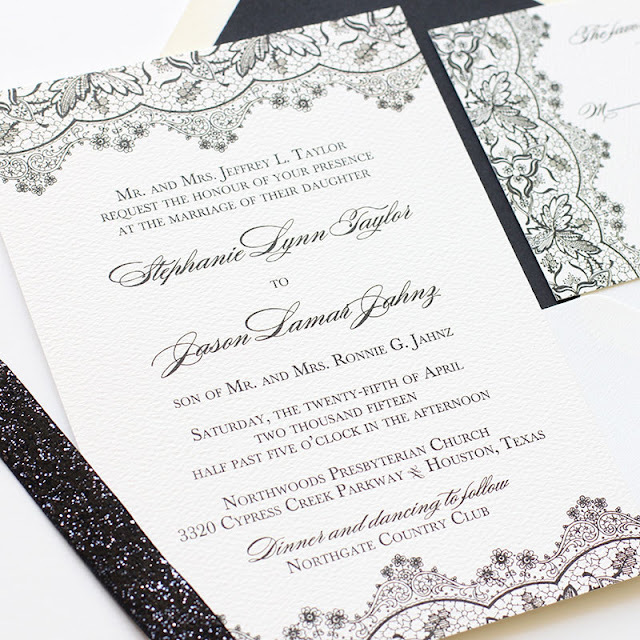 Our lace wedding invitation, shown above printed in black, has a soft and elegant feel while still having a bold refined look. Black has become an incredibly popular choice for wedding color palettes and doing all black on your wedding invitation always looks great. 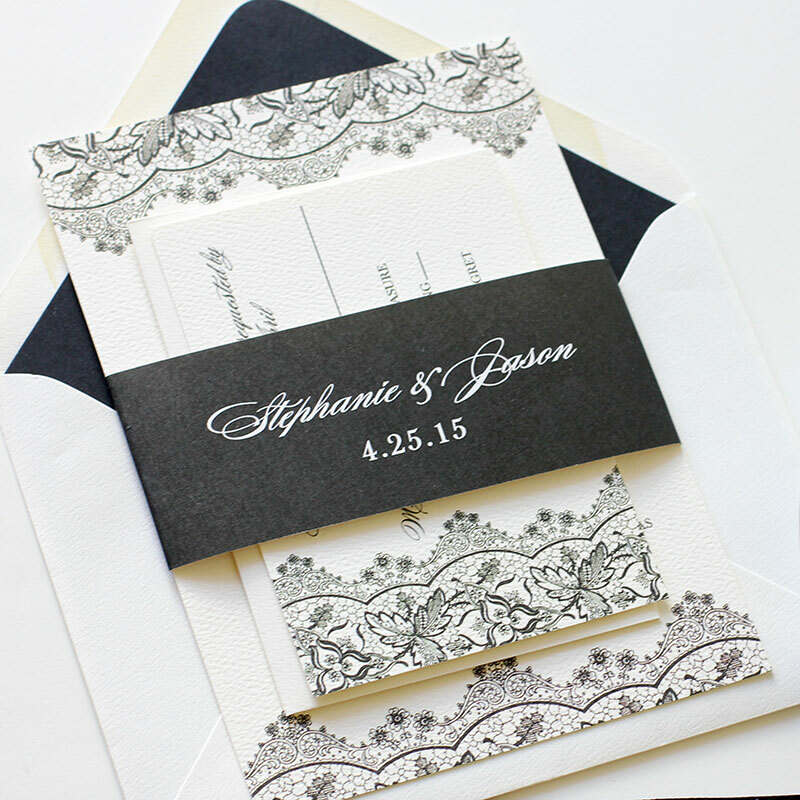 Using one all over color like this creates a bold and unified look, but the lace design helps keep the wedding invitation suite soft & elegant. The striking all black belly band is the perfect way to present this lovely suite.